Anu Osva is a Finnish artist with scientific background in animal breeding (i.e. genetics, quantitative genetics and mathematics). She worked ten years as a researcher in this field, but chose to pursue an artistic career in 1990. In 1999 she began to combine scientific thinking and observations into her artistic work. In her paintings layers of genetic information are mixed with random layers of oil colours. These layers of colour may contain natural, historical or cultural observations, or they may be related to our belief systems. In 2005 Osva participated in a field trip to North-East Siberia together with a socio-cultural research team from Helsinki University. The target was three isolated, small villages, where endangered, genetically unique Yakutian Cattle still lives as a population of 900 animals. In her art project entitled Yakutian cattle – A Research Expedition to Siberia in 2000’s she is investigating this cattle as companion species and co-travelers for humans in harsh, arctic environment. 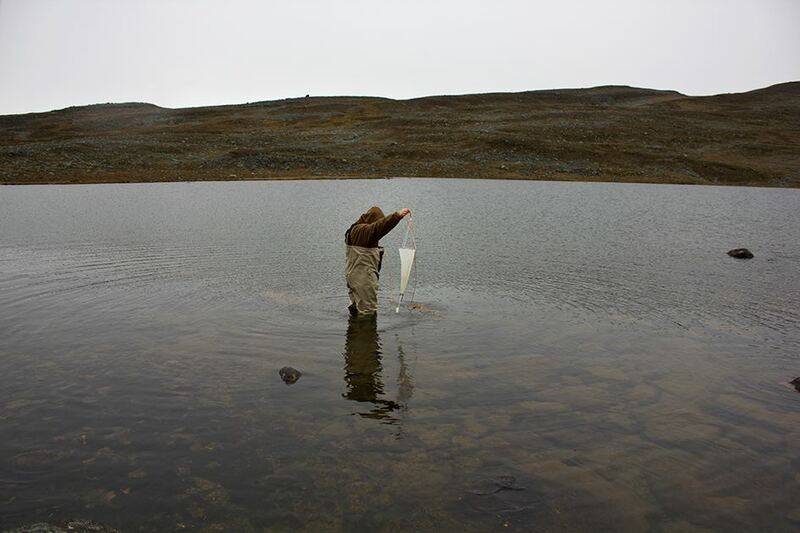 One of her recent activities has been to develop artists and researchers collaboration in Kilpisjärvi Biological Station under umbrella of Ars Bioarctica. Water Flea Circus, Midnight Sun and ClimateScope are projects she was working with together with corresponding project teams. She was the first chairperson of the Finnish Bioart Society. Residency periods in Kilpisjärvi and working in laboratories have given hert new ways to work with painting, video and space simultaneously. Osva has had several exhibitions in Finland and she has also displayed her works in international venues in Iceland, Sweden, Croatia and Belgium. residencies in Berlin(DE), Madrid(ES), Brighton(UK), Newcastle(UK) and currently Romainmotier/Zurich(CH). He uses methodologies of electronics hacking and DIY-biology to explore research interests such as bacterial cultivation, locative arts and robotics. Opera, The Turn of the Screw in Sibelius-Academy, The Idiot in Finnish National Theatre, inauguration of Aalto University in Finlandia House and Kiasma, and "Vesi" (Water) installation in Shanghai. My work spans visual, audio and digital art forms and explores the relationship between technology, science and nature, and how we perceive and interact with them. Often working collaboratively, I experiment in transforming complex processes and data sets into sound compositions, objects and animations. For the past 15 years I’ve focused on questioning the use of electronic technologies to ‘translate nature'. I am currently artist in residence at the Nanotechnology Centre, Cranfield University, and a TED Fellow. Luis Graca is an experienced scientist, having worked in biomedical research for 15 years. He is trained as a MD, although his focus of interest has been immunology (in particular allergy and transplantation). Graca is author of ~40 scientific publications in some of the leading academic journals (including Nature Immunology, Journal of Experimental Medicine, PNAS), his research has also led to three patents. Now he directs a group of seven researchers at the main research institute in Portugal. Graca has significant experience in collaborating with artists. At the time he was a post doctoral fellow at the University of Oxford he collaborated with artist Marta de Menezes, a collaboration that was continued when he moved to Lisbon. In addition, Graca has worked with artist Maria Manuela Lopes, in exploring artworks incorporating immunology. As a consequence of these interactions with artists, he co-authored an essay with Marta de Menezes on Bio Art, and published an essay in Portuguese journal NADA concerning the different approach of artists and scientists to bioart. In recent years he has become involved, as scientific consultant, in the running of Ectopia (an experimental art laboratory directed by Marta de Menezes), and Cultivamos Cultura that runs a residency program for artists in the South of Portugal. Graca strives to contribute with his science and medicine background to the development of art projects within those structures.